IowaWatch.org and Flyover Fest are banding together for a live storytelling event on Thursday, March 29, at Old Brick in Iowa City. 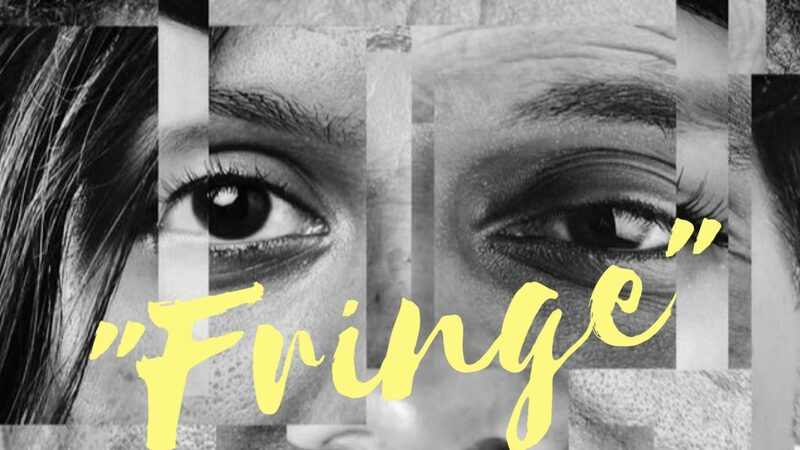 The event, “Fringe: True Stories from Outsiders,” will explore, through a group of hand-selected speakers telling personal stories, people who feel marginalized in society. Speakers will tell short stories from their lives at this event, which is modeled after the National Public Radio program, The Moth. The program will begin at 7 p.m. Old Brick is at 26 E. Market St. Iowa Public Radio’s Lindsey Moon will be the program emcee. Tickets are $15 in advance and $20 at the door. Proceeds will support the work of IowaWatch.org and Flyover Fest. To buy tickets, go to this site. Flyover Fest is a two-day fashion, music and art festival focused on inclusion, and equal representation taking place in downtown Iowa City. Learn more about Flyover Fest at this site. 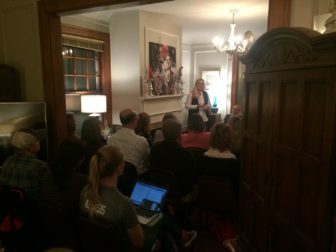 Daphne Patton of Iowa City speaks during a live storytelling event at Iowa Writers’ House in Iowa City that served as a fundraiser for Iowa Writers’ House and IowaWatch on Nov. 30, 2017. IowaWatch.org was part of three successful live storytelling events in 2017. “This is a great opportunity to not only reach audiences and let them know about IowaWatch.org and our partner Flyover, but also hear authentic stories from Iowans who make up the rich fabric of who we are,” Lyle Muller, IowaWatch.org’s executive director and editor, said. IowaWatch.org is part of the Iowa Center for Public Affairs Journalism, a 501(c)(3) nonprofit, nonpartisan news organization that does investigative and public affairs journalism; makes that journalism available free on its website and through media partners; and trains college students to do this journalism at an ethical, high level. To learn more, visit IowaWatch.org. A University of Iowa Event Planning Certificate class is organizing the event as a class project under the direction of Heather Spangler, event planning certificate program coordinator at the School of Journalism and Mass Communication. Spangler is a member of the Iowa Center for Public Affairs Journalism board of directors.